Here's where to watch every episode of Derrick season 12. Mouseover or tap an episode to see where to stream it. Click or tap the play icon to stream it on the best available service. Episode 1 Jan 18, 1985 Patrons are leaving a concert, when there is a loud shriek. A young woman lies dead in a pavilion. Episode 2 Feb 8, 1985 Joachim Lutze stops at an accident scene. He is asked to transport a wounded lady to the hospital. The lady is anxious about having her luggage taken to a certain person. Joachim agrees to help, and a hell of an adventure begins. Episode 3 Mar 1, 1985 Albert Rasko, a money courier, is robbed and stabbed to death. Episode 4 Mar 22, 1985 Julia Stettner seeks company by a newspaper posting. A much younger man responds and they meet. A few dates later a murder goes down in his apartment. Episode 5 Apr 19, 1985 Robert Asmy is shot in front of his sauna, right before the eyes of his girlfriend. By his reputation, former girlfriends or their previous boyfriends might be good suspects. Episode 6 May 3, 1985 Helga Södern calls Derrick to inform that some men have followed her home, and she is really scared about it. However, when Derrick and Harry go to check on her, everything seems fine. Episode 7 May 17, 1985 Rudolf Diebolz's wife finds her husband's suicide note. Soon his boat explodes on the lake. Eventually a corpse is found and recognized, but Derrick thinks not everything is right. Episode 8 Jun 14, 1985 Kusich, a Reeperbahn pimp, finds his way to Munich in search for a former employee. He surely finds her, but the next morning he is found dead in his hotel room. Episode 9 Jun 28, 1985 Dr. Boman asks for Derrick's help. His daughter has been kidnapped, but the demanded ransom is of special nature. 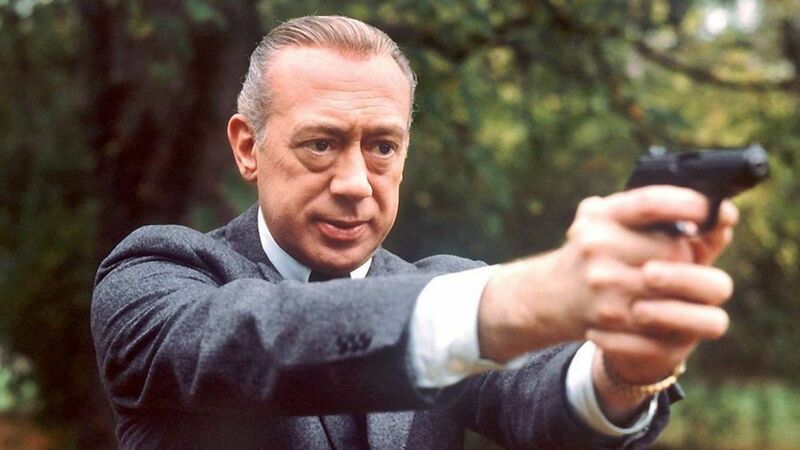 Episode 10 Sep 6, 1985 Alfons Köhler is shot at the door of his home. One of Derrick's old acquaintances keeps messing with the investigation. Episode 11 Oct 4, 1985 Margot Glogau is found dead in her own bedroom. Episode 12 Nov 3, 1985 The staff of a boarding school celebrate the 16th anniversary of the school. Suddenly a loud bang echoes down the corridors, and Mr. Wenk is found dead in front of a dorm room. Episode 13 Dec 13, 1985 Franz Weiler, a petty criminal, is shot on his way home.